The Estonian Direct Selling Association’s Code of Conduct towards Consumers (hereinafter referred to as the “Code”) is adopted by the Estonian Direct Selling Association, which is a member of Seldia – the European Direct Selling Association, following the European Direct Selling Code of Conduct towards Consumers. The Code concerns the relations between direct selling companies and direct sellers on the one hand and consumers on the other hand. The Code is aimed at achieving the satisfaction and protection of consumers, the promotion of fair competition in the framework of free enterprise, and the enhancement of the public image of direct selling, which is to sell quality products on fair terms and conditions to consumers. (1) Direct selling means any selling method which is based on the explanation or demonstration of products to a consumer by a salesperson, hereinafter called direct seller, away from business premises, typically in the consumer’s home, in that of another consumer or at the consumer’s place of work. (3) EDSA – Estonian Direct Selling Association is national association of direct selling companies which represents the direct selling industry in Estonia and which is a member of Seldia. (4) Company means any business entity which markets products associated with its trademark or service mark or identifying symbol through a distribution system based on direct selling and which is a member of the EDSA. (5) Distribution system means any organization and method designed for the marketing of products. (6) Direct seller means any natural or legal person who is member of the distribution system of a direct selling company and who sells, facilitates or assists in the sale of products of that company away from business premises. Direct sellers’ may be entitled to recruit other persons to become Direct Sellers. A Direct Seller may be an independent commercial agent, independent contractor, independent dealer or distributor, employed or self- employed representative, or any other similar sales representative of a Company. (7) Product means any goods, tangible or intangible, or service. (8) Selling means communication with potential customers, delivery of products or demonstration, taking orders, delivery of products and receipt of the payment. (9) Party selling means direct selling to a group of consumers invited by a host to that end. (10) Order form means a printed or written document confirming details of a Consumer order and providing a sales receipt to the Consumer. In the case of Internet purchases, a form containing all terms of the offer and purchase provided in durable medium. (11) Recruiting means activity conducted for the purpose of offering a person the opportunity to become a direct seller. (12) Code administrator means an independent person or body appointed by the EDSA to monitor member companies’ observance of the EDSA’s Code and to resolve complaints under the Code. Every EDSA member company pledges to abide by the Code as a condition of admission and continuing membership in the EDSA. Every EDSA member company shall be required to promote to the public its EDSA affiliation and this Code. The Code is a measure of self-regulation by the direct selling industry. It is not a law, and its obligations may require a level of ethical behaviour which exceeds existing legal requirements. Non-observance does not create any civil law responsibility. With termination of its membership in the EDSA, a company is no longer bound by the Code, the provisions of which remain applicable to events or transactions occurring during the time a company was a member of the EDSA. The Code contains standards of ethical behaviour for direct selling companies and direct sellers. It is recommended that the Code be used as evidence of industry standards. EDSA pledges that it will require each member as a condition of admission and continuing membership in the EDSA to comply with the European Codes of Conduct for Direct Selling with regard to direct selling activities outside its home country, unless those activities are under the jurisdiction of Codes of Conduct of another country’s Seldia – affiliated DSA to which the member also belongs. Should a company be subject of a Code Complaint in a country in which it is not a member, the company must accept jurisdiction of the Code Administrator in its home country (or if the company is not a member in its home country, any country in which it is a DSA member), and shall bear reasonable costs incurred by the home country Code Administrator associated with resolution of the Complaint. Moreover, the Code Administrator of the home country may coordinate with the Code Administrator (if one exists) of the complainant’s country and, in evaluating the alleged Code Complaint, apply, in order of priority, (i) the standards of the Code of Ethics in the country in which the complaint is filed, or, (ii) the standards of the Code of Ethics in the subject company’s home country, or (iii) at a minimum, the standards set forth in the European Code of Ethics. Direct sellers and companies shall not use misleading, deceptive, aggressive or unfair sales practices. Direct Sellers shall offer Consumers accurate and complete Product explanations and demonstrations regarding product characteristics, price and, if applicable, credit terms; terms of payment; the right of withdrawal; return policies; terms of guarantee; after-sales service; and delivery dates. Direct Sellers shall give accurate and understandable answers to all questions from Consumers. To the extent claims are made with respect to product efficacy, Direct Sellers shall make only those verbal or written product claims that are authorized by the Company. The information given to the consumer shall be provided in a clear and comprehensible manner with due regard to the principles of good faith in commercial transactions and the principles governing the protection of those who are unable, pursuant to national legislation, to give their consent, such as minors. A written Order Form shall be delivered or made available to the Consumer at or prior to the time of the initial sale. In the case of a sale made via mail, telephone, the Internet, or similar non face-to-face means, a copy of the Order Form shall have been previously provided, or shall be included in the initial order, or shall be provided in printable or downloadable form via the Internet. The order form shall identify the company and the direct seller and provide the consumer with the full contact details of the company and where applicable the direct seller, and all material terms of the sale. Companies and direct sellers shall make sure that any order form contains, whether it is a legal requirement or not, a right of withdrawal during a period that is not less than 14 days, including the right to obtain reimbursement of any payment or goods traded in. Companies and direct sellers offering an unconditional right of return shall provide it in writing. Promotional literature, advertisements or mailings shall not contain any product description, claims or illustrations which are deceptive or misleading. It shall contain the name and address or telephone number of the company and may include the telephone number of the direct seller. It shall also be compliant with the present Code and the rules regarding marketing towards children and minors, in particular those of the Unfair Commercial Practices Directive and the Audiovisual Media Services Directive. Personal, telephone or electronic contact shall be made in a reasonable manner and during reasonable hours to avoid intrusiveness. A direct seller shall discontinue a demonstration or sales presentation upon the request of the consumer. Companies and Direct Sellers shall take appropriate steps to ensure the protection of all private information provided by actual or prospective customers. Any order shall be executed as quickly as possible and in any case within 30 days from the conclusion of the contract, unless the parties have agreed otherwise. Consumers shall be informed if companies or direct sellers are unable to perform their side of the contract on the grounds that the products ordered are unavailable. In that case, consumers may obtain a refund of any sums they have paid as soon as possible and in any case within 30 days from the day on which the company receives the communication of the withdrawal. Each member company and pending member company is required to designate a EDSA Code Responsibility Officer. The Code Responsibility Officer is responsible for facilitating compliance with the Code by their company and responding to inquiries by the EDSA Code Administrator. He or she will also serve as the primary contact at the company for communicating the principles of the EDSA Code of Ethics to their independent salespeople, company employees, customers and the general public. EDSA shall provide a person responsible for complaint handling. EDSA shall make every reasonable effort to ensure that complaints are settled. EDSA shall appoint an independent person or body as Code Administrator. The Code Administrator shall monitor companies’ observance of the Code by appropriate actions. The Code Administrator shall settle any unresolved complaint of consumers based on breaches of the Code and shall furnish an annual report on the operation of the Code. Actions to be decided on by companies, EDSA or Code Administrator may include cancellation of orders, return of goods purchased, refund of payment or other appropriate actions, including warnings to direct sellers, cancellation or termination of direct sellers’ contracts or other relationships with the company, warnings to companies, exclusion of companies from EDSA membership, and the publication of such actions and sanctions. Companies, EDSA and Code Administrator shall establish complaint-handling procedures and ensure that receipt of any complaint is confirmed within a short time and decisions are made within a reasonable time. Handling of consumer complaints shall be free of charge to the consumer. EDSA shall publish the Code and make it known as widely as possible. Printed copies shall be made available free of charge to the public. The European Code administrator consists of a committee of four members. Three of them are from the direct selling sector and are appointed by the board of Seldia. The fourth member, also designated by the board of Seldia and acting as chairman, is independent from the sector.  The Executive Director of Seldia is ex officio secretary of the Code Administrator. 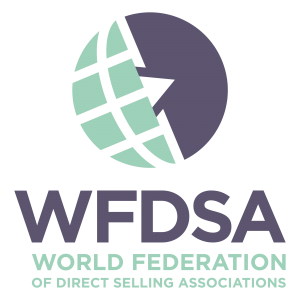 4. receive complaints from DSAs in membership of Seldia from one of the EEA countries involving direct selling companies in membership of WFDSA, WFDSA CEO Council or of DSAs outside membership of Seldia with the aim of mediation together with such direct selling companies, WFDSA and the DSA in question. Where, in response to a complaint, it is necessary to gather further information to determine the points of facts and of rules concerning the case, the Code Administrator shall inform the company concerned about the complaint and the identity of the complainant. The Code Administrator may ask the company and the complainant to supply further information. After examining the facts and in the light of the rules set in this Code, the Code Administrator will decide within three months after the complaint has been received, whether further action should be taken. The Company has to adopt within one Monte a position on the points of fact and of Code on which the Code Administrator bases its decision to open a procedure. In the light of the reply or absence of a reply from the Company the Code Administrator may decide to issue an opinion, clearly and definitively setting out the reasons why it considers there to have been noncompliance with the Code and calling on the Company to comply with the Code within 3 months. The Board of EDSA can decide to make the opinion public, on a proposal and recommendation by the Code Administrator.